Get relief from cold and flu symptoms and bring wellness to an entire family in style with a Crane Drop Ultrasonic Humidifier, Slate. 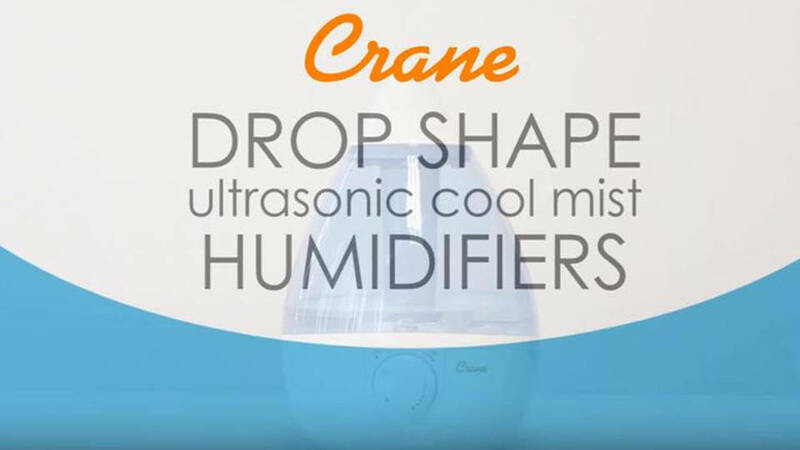 Featuring an award-winning design and top rated performance, Crane's Drop Shape Ultrasonic Cool Mist Humidifiers provide up to 24 hours of soothing moisture to help relieve the effects of dryness and congestion. It also helps to relieve cough, cold and flu symptoms, nasal congestion, dry cough, sinus irritation, nose bleeds, dry skin and hair. 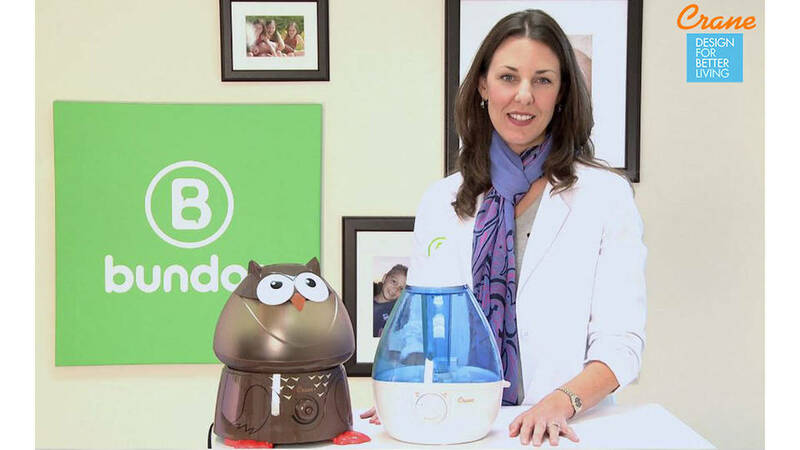 It does not require a filter and it is a BPA-free humidifier. 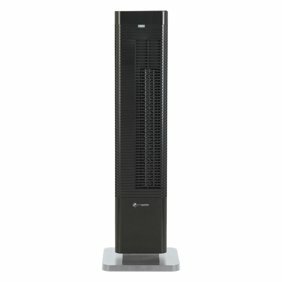 Although some humidifiers may keep you up at night because of the noise, this humidifier has a whisper quiet operation. 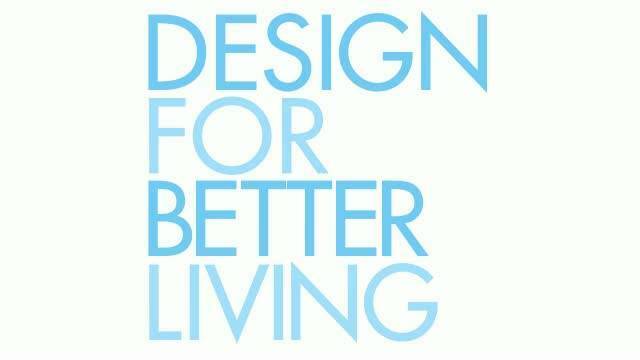 Quality Product by good company! My wife and I bought this for our nursery. 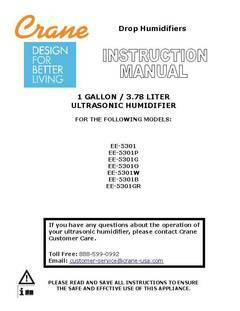 It has worked excellent for us, and I would highly recommend this to anyone looking for a quality humidifier. Great quality, works great, love that you can turn the top part to change directions, love that it has auto shut off. Great buy. Second one we have bought. Both have worked well. Super fine mist that does not leave items around the humidifier damp. I am not pleased with product. I have had product for 2 months not using it very often because weather has been mild. This item was purchased to help with moisture in the air from wood heat. It worked well for that amount of time but it stopped working. Hopefully I will be able to return. I only used it one night and it stopped working. I contacted crane & they quickly sent out a replacement free of charge. These are the only humidifiers I use. They are so quiet & clean. This products was broken when I received it. After removing the main parts from the box that appeared to be packed properly, I realized that the bottom portion of the unit was cracked. I had to return the unit the same day I received it. I ended up buying a different brand that I'm completely satisfied with.